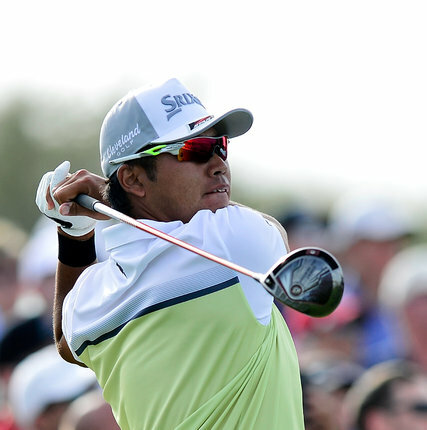 Hideki Matsuyama of Japan on the 18th hole during the final round of the Phoenix Open on Sunday. SCOTTSDALE, Ariz. — Hideki Matsuyama won the Phoenix Open on the fourth hole of a playoff for the second straight year, outlasting Webb Simpson at TPC Scottsdale on Sunday. Matsuyama, 24, won with a 10-foot birdie putt on the short par-4 17th hole, the same spot where he finished off Rickie Fowler a year ago.